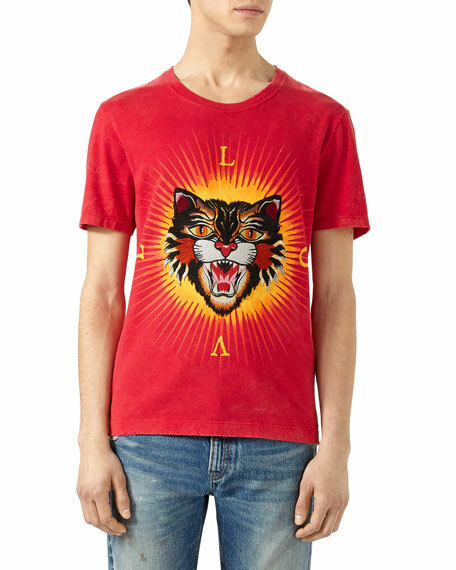 The image of the Angry Catstrongly represented in the Pre-Fall collectionis embroidered and applied to the front of the cotton t-shirt, surrounded by printed rays and the word "love"a nod to Alessandro Michele's romantic aesthetic. 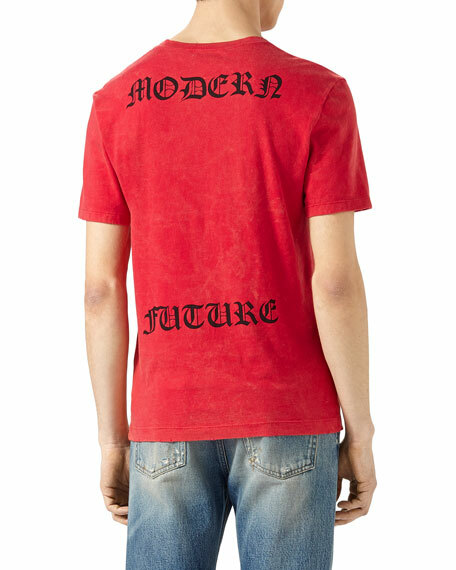 The phrase "Modern Future" across the back pays homage to the Creative Director's new approach to fashion, defying the sense of time and trends. Angry cat appliqué with "love" print. For in-store inquiries, use sku #2213486.